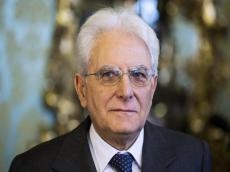 Italian President Sergio Mattarella will be on an official visit to Azerbaijan from July 18 to 19, said the press service of the President of Italy July 16. During the visit, the President of Italy plans to visit the Sumgait Chemical Industrial Park and get acquainted with the activities of the plant for the production of polypropylene, built by the Italian company Maire Tecnimont. Together with President Ilham Aliyev, Mattarrella will participate in the Italian-Azerbaijani business forum and open an exhibition called "Treasure of Eternity" at the Heydar Aliyev Center. Sergio Mattarrella's visit also includes meetings with the staff of the Italian Embassy in Azerbaijan, ICE and representatives of the Italian community.